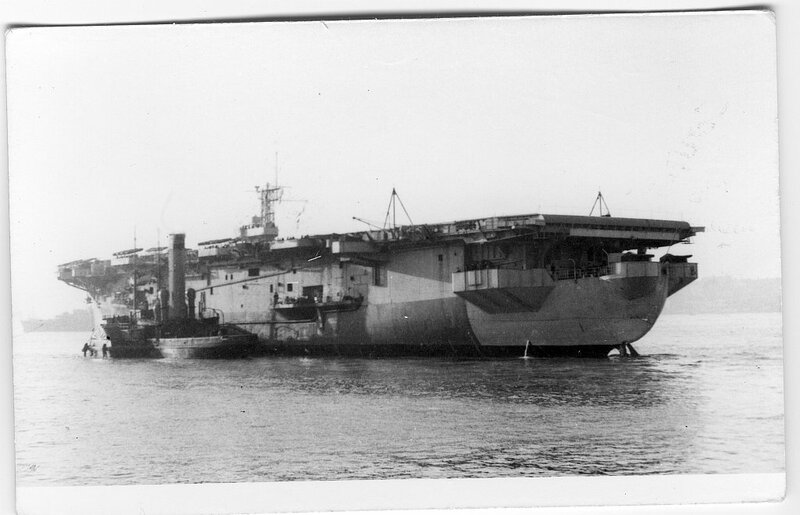 Stricken, 7 February 1946 (Navy Dept. Bulletin, 46-316, p. 14). Sold to Argentina, renamed Salta, converted to a passenger vessel at Newport News, Va. Reportedly scrapped at Buenos Aires, Argentina, in 1966. 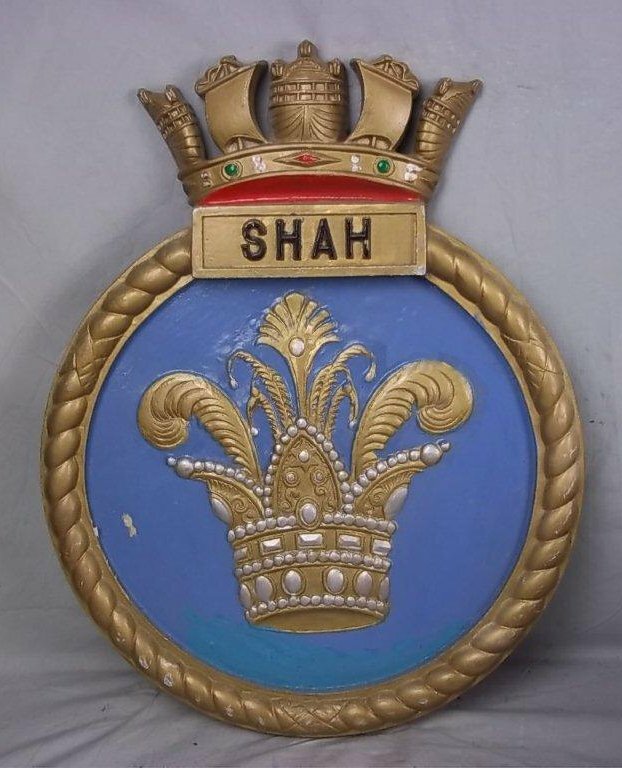 HMS Shah. Date and place unknown. HMS Shah (D21), ex-Jamaica (CVE-43), date and location unknown. 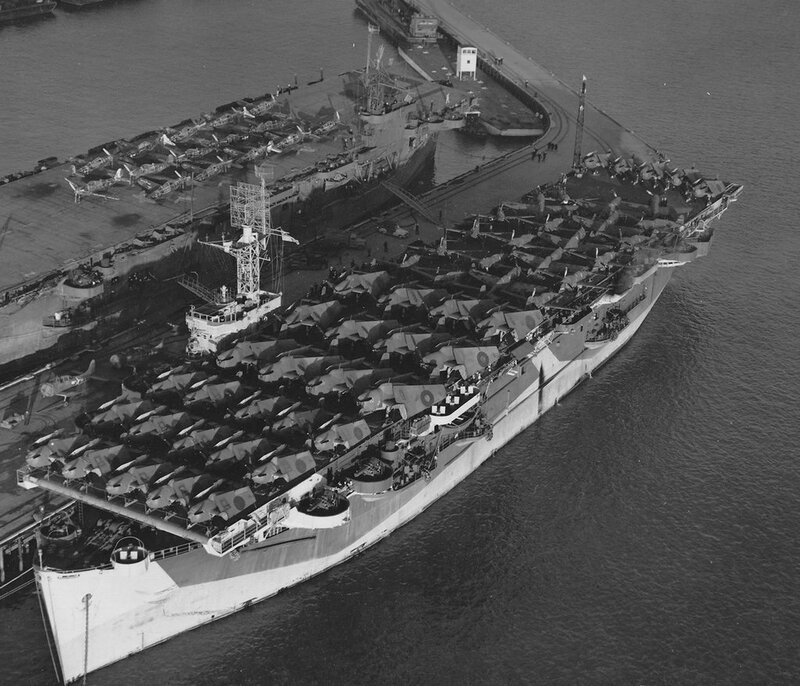 Overhead view of HMS Shah (D21), formerly Jamaica (CVE-43), moored at San Francisco in January 1944. 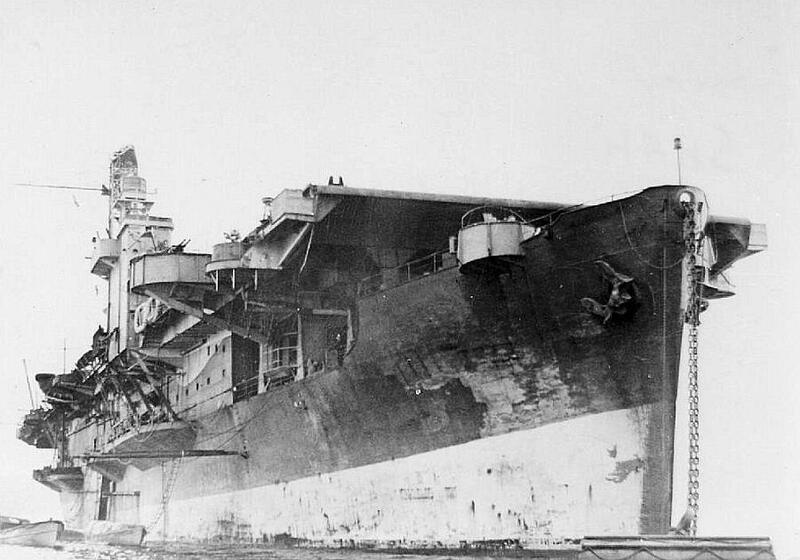 The ship is ready to ferry a deck load of 29 Wildcats, 12 Avengers and 22 Curtiss Warhawks (P-40) to Melbourne, Australia, Cohin, India and Colombo, Ceylon. The CVE painted in camouflage Measure 21, moored on the opposite side of the pier, is sometimes identified as USS Rudyerd Bay (CVE-81), but this is highly questionable given the date of the photo. A more likely candidate is USS Prince William (CVE-31). HMS Shah ferrying aircraft, possibly in January 1944, en route to Melbourne from San Francisco. 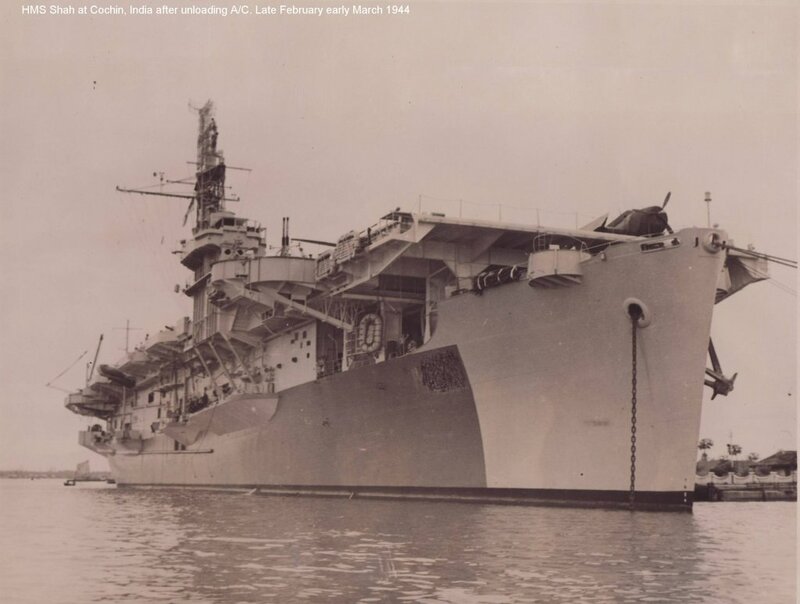 HMS Shah, ex-Jamaica, at Cochin, India, after unloading aircraft, late February–early March 1944. 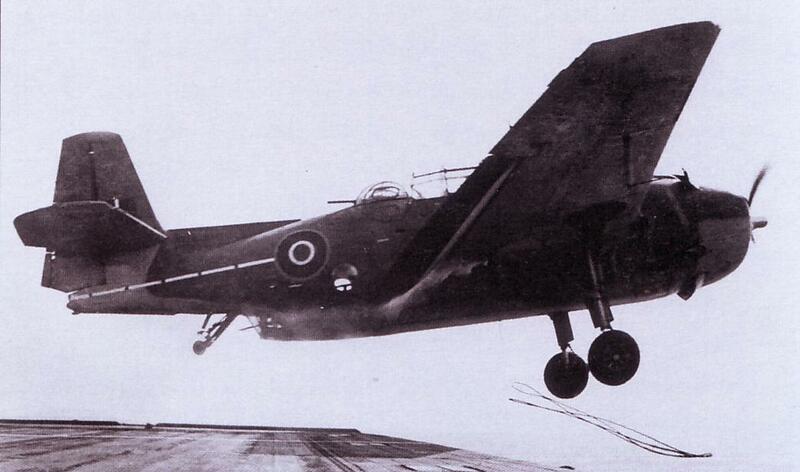 One of HMS Shah's Grumman Avengers gets airborne from the flight deck of HMS Emperor, May 1945, during the British East Indies Fleet hunt for the Japanese heavy cruiser HIMJS Haguro (Shah's catapult was defective). Because of the range, they were carrying no torpedoes, nor could they be supported by Hellcat fighters. Fleet Air Arm photo. Imperial War Museum photo.